The Rainshield Team has many years of experience and will work closely with you to restore or replace your roof and to answer all your questions from start to finish. The job is not finished until you are satisfied. We believe that quality workmanship and customer service are essential parts of any repair or remodeling task. Like you, we care about value and durability, so we offer trusted roofing products from leading manufacturers such as Certainteed. Metal roofs are durable, fire retardant and almost maintenance-free. 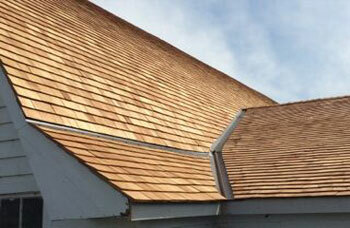 But metal roofs can also be made to resemble wood shakes, clay tiles, shingles, and Victorian metal tiles. Aluminum or coated steel is formed into individual shingles or tiles, or into modular panels four feet long that mimic a row of shingles or tiles. Wood shakes offer a natural look with a lot of character. Because of variations like color, width, thickness, or cut of the wood, no two shake roofs will ever be the same. We’ve been installing cedar shake roofs for years in the pacific northwest including Mount Vernon, Everett, and Bellingham. Membrane roofing is used on flat or low sloped roofs. 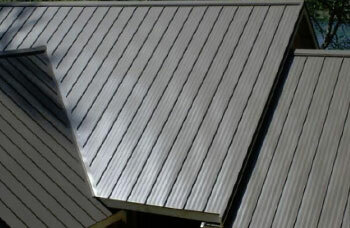 PVC roofing is single ply roofing, which means it consists of one layer manufactured in a factory. A PVC roofing membrane is made of thick, flexible, UV-resistant thermoplastic material. The thickness of the roofing membrane varies by manufacturer. 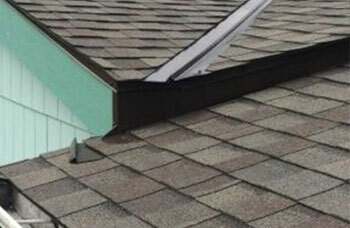 PVC roofing can be made to fit nearly any flat roof shape, and is considered a fire safe material. Although white is a common color since it reflects the sun’s heat, different colors are available.